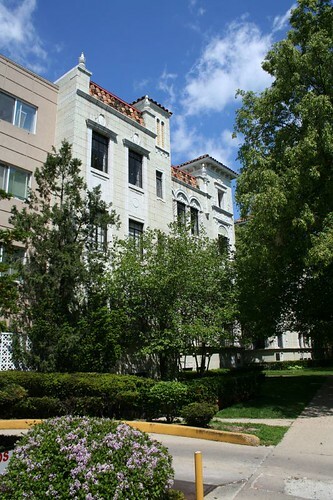 The U-shaped apartment building is a very standard 1920s Chicago development scheme, allowing a tall building with lots of rental units, while still providing each with plenty of natural light. The resulting courtyard can also become an amenity, providing a slice of nature to the residents. These buildings are decorated in a wide variety of styles, but far and away the most elaborate one I’ve found to date is the Casa Bonita, on Ridge Avenue just north of Touhy. 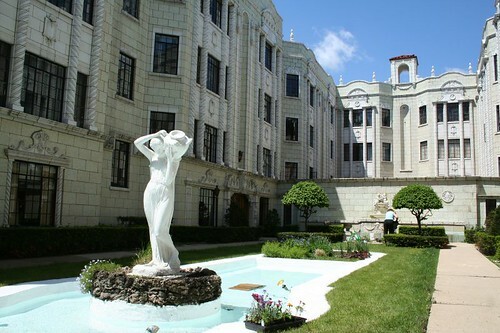 Designed in 1928 by Alexander Capraro and Morris Komar, it’s slathered in glazed white terra cotta ornament. 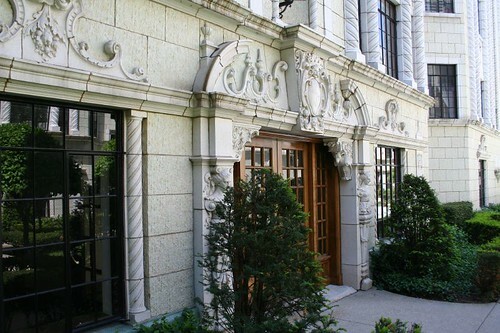 Sculpted faces, spiral pilasters, brackets, medallions, and floral decoration are only part of the list. 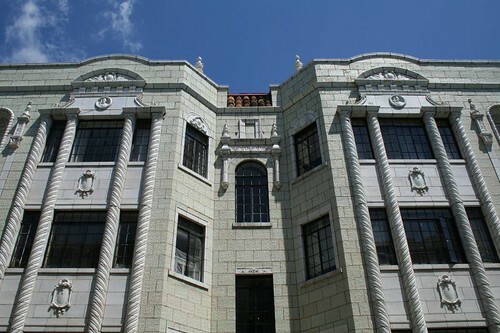 The building is well-maintained today, having been converted to condominiums. 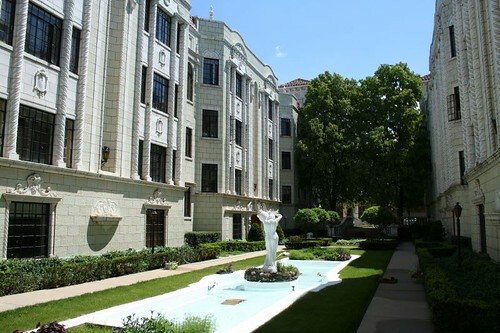 Plantings surround a small reflecting pool with a sculpture in the center. But those trees also provide a screen from the street; a grade change allows the courtyard to be sunken half a flight down from the street, further sheltering it from the busy traffic on Ridge. The entire building as it stands is a testimony to how wonderful controlled outdoor space can be, a literally shining example of the wonderful power of architecture. More detail photos may be seen at my Flickr space. This entry was posted in Courtyard Apartments, Rogers Park, Terra Cotta. Bookmark the permalink. This one of my absolute favorite apartment buildings! I am a graduate of the high school next door and use to walk past this every day, five days a week during the school year. As a fourteen year with little knowledge of archiecture I was very apreciative of this building even then. I have not gone to walk past it in so long. Even back then the condos here were pretty expensive. This was way before the housing boom. Looks like a peaceful place to live. Thanks for sharing! Good to see a structure like this, an old style wonderful built condo.